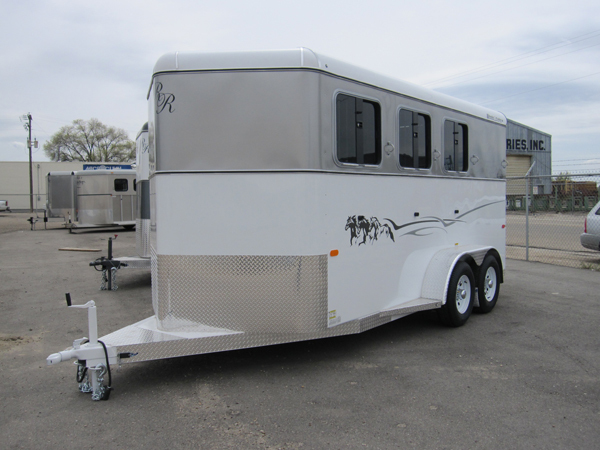 The Legacy horse trailer from Double R Trailers offers an 8” air gap on both the head and tail side and comes in either a SS or DX model, bumper-pull or gooseneck. 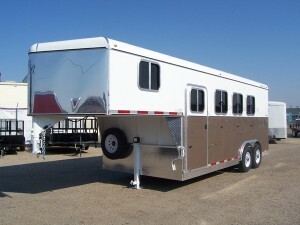 The Sedona horse trailer from Double R Trailers offers drop down windows on the head side and a 8” air gap on the tail side in SS or DX model, bumper-pull or gooseneck. The Prestige horse trailer from Double R Trailers Offers ALL the bells and whistles in a bumper-pull or gooseneck. 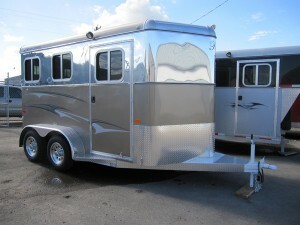 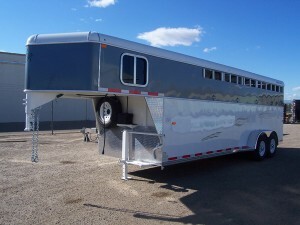 The Laredo horse trailer from Double R Trailers is fully enclosed and offers drop down windows on the head side and slider windows on the tail side. 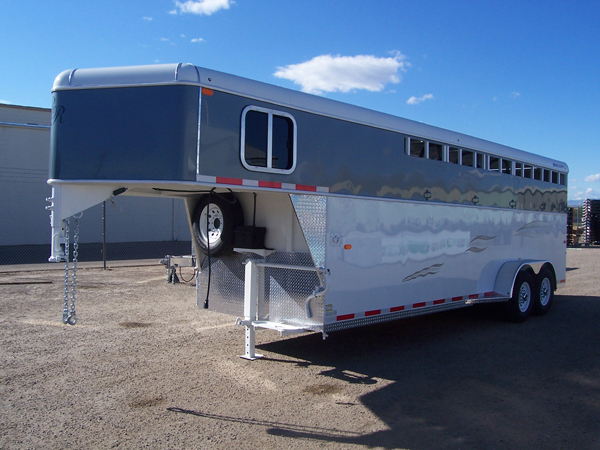 It comes in either a SS or DX model, bumper-pull or gooseneck.